Jodhpur International Desert Kite festival attracts the best kite flyers from India and abroad. The location for this exciting and colourful is the Jodhpur Polo Ground. 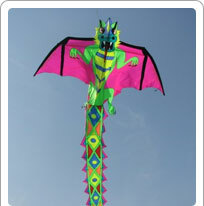 The Desert Kite Festival is a three day mega jamboree, starting on Makar Sankrati (14th January). Just like the kite festival at Jaipur, this too is extremely popular with the residents as well as tourists. A number of cultural activities, music and dancing add to the lively atmosphere. The Umaid Bhawan is another popular location where the kite flyers congregate. Umaid Bhawan Palace is the site for the finals of the Fighter Kite Competition and the judging of the Display Kites followed by the prize distribution ceremony, the valedictory function, and a farewell dinner. A flying kite symbolises the soaring spirit. The weather in middle January in the State of Rajasthan is such that kite flying in the beautiful city of Jodhpur or Jaipur is an uplifting experience for the soul.